Only five days after The Hobbit films received the official greenlight, we have our first official casting announcements. 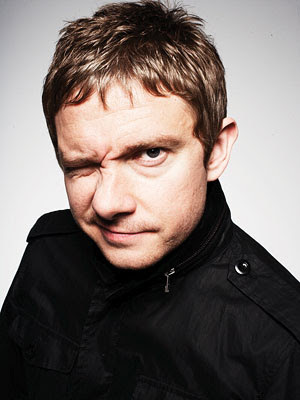 On board as the titular hobbit himself, Martin Freeman (The UK Office, Hitchhiker's Guide to the Galaxy, Sherlock) is officially our Bilbo! This news is sure to please the many fans who have been suggesting Freeman's name for years now. This is also a pleasant surprise, considering recent reports that suggested Freeman was no longer available due to prior commitments to the BBC series Sherlock. Thankfully, it seems the producers have found a way to work around Freeman's schedule. After a long and troubled journey, things finally appear to be moving forward on these films. For the rest of today's casting announcements (including many dwarves), follow the link to TheOneRing.net.